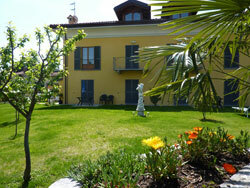 The 2-room apartments at Lago Maggiore are furnished in a very modern style. 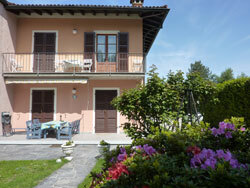 They are situated in a quiet and prime location near the lakeside, 100m to the beach. At the entrance of this nice town, only 4 km far away from the wellknown Tessin, (which is situated in Switzerland) you will find our apartments "Villa Candida" at the famous Lago Maggiore in Italy. Only 100 mtr away from the beach and a few steps to go into town where you will find a lot of nice shops, restaurants as well as the wellknown Sunday market along the lake. The lake has a very good water quality ideal for swimming, surfing, and sailing excursions by boat, snorkelling and diving. Just next door there is a possibility to hire motor boats, sailing boats, catamarans, and peddles, as well as sailing and surf courses.